Understanding the origin and evolution of the continental crust continues to challenge Earth scientists. Lithospheric Discontinuities offers a multidisciplinary review of fine scale layering within the continental lithosphere to aid the interpretation of geologic layers. Once Earth scientists can accurately decipher the history, internal dynamics, and evolution of the continental lithosphere, we will have a clearer understanding of how the crust formed, how plate tectonics began, and how our continents became habitable. 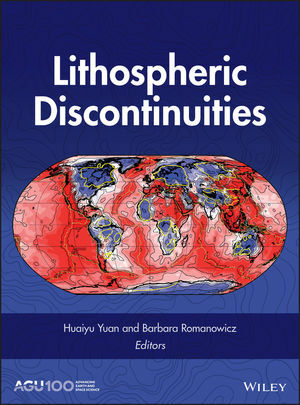 Written for academic and researchgeoscientists, particularly in the field of tectonophysics, geophysicists, geodynamics, seismology, structural geology, environmental geology, and geoengineering, Lithospheric Discontinuities is a valuable resource that sheds light on the origin and evolution of plate interaction processes.